ISMPP is committed to serving the educational needs of publication professionals no matter where they live. Although most ISMPP members live in North America and Europe, the number of members from the Asia-Pacific region and lower-income countries is increasing rapidly. Providing these new members with education on ethical and efficient publication practices is important and benefits all members by enhancing the international strength and integrity of our profession. Both prospective and existing members who live in the Asia-Pacific region and/or a lower-income nation are automatically deemed as Associate Members of ISMPP upon joining or renewing. Associate membership provides almost all of the existing ISMPP membership benefits at a greatly reduced cost of $95 USD, compared to $195 USD. Become an Associate Member today! 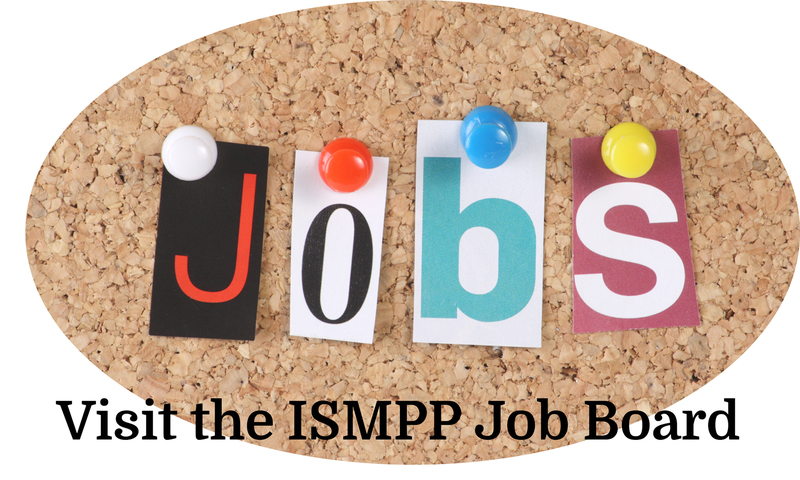 Click here to join and receive instant access to all of benefits and services provided with an ISMPP membership. If you have any questions about your ISMPP membership or online application, please contact [email protected]. Question about Associate Membership? Please browse through the answers provided below. Still have a question about Associate Membership? Please contact the ISMPP staff at [email protected] or call +1 914 618 4453. Do I qualify for an Associate Membership? Are there any factors that will make me ineligible for Associate Membership? What is the difference in benefits provided between Full and Associate Membership? I do not see an Associate Membership option when I go to join or renew. Why? If I am an Associate Member, am I eligible to participate in the annual Board of Trustee elections and other membership votes? Can Associate Members sit for the ISMPP Certified Medical Publication Professional™ (CMPP) exam? Membership. My Associate Membership is already paid for. Can I do that? I live in Asia-Pacific and/or lower income nation and I joined or renewed as a Full Member but want to switch to Associate Membership. My Full Membership is already paid for. Can I do that? What happens if I move into or out of a developing nation after I join or renew? Do I qualify for Associate Membership? Currently, you are deemed eligible for Associate Membership if you live in a country within the Asia-Pacific region (per the World Health Organization) or a lower income nation (per the World Bank). Upon joining and/or renewing you will automatically receive Associate Membership status and a reduced rate of $95USD. Are there any factors that would make me ineligible for Associate Membership? ISMPP will continue to increase live activities in the Asia-Pacific region over the course of the next several years. When the live activities in the region are deemed equivalent to those offered in North America and Western Europe, members from the Asia-Pacific region will no longer be eligible for Associate Membership. There will be advance notice provided at that time. If you live in a country deemed lower-income by the World Bank and your country’s financial status is upgraded, your country will be removed from the list of nations eligible for Associate Membership. There will be advance notice provided at that time. Currently, the only difference between the two memberships is that Associate Members will not receive an electronic ballot for each Board of Trustee election, as well as for any other membership vote, such as Bylaws amendments. If interested in voting, Associate Members will always have the option to upgrade to a Full Membership. There is no option to select Full or Associate Membership on the membership or renewal applications. Once you have indicated the country you live in, you will automatically receive the appropriate membership type based on your location..
No-Associate Members will not receive an electronic ballot for each Board of Trustee election, as well as for any other membership vote, such as Bylaws amendments. Can Associate Members sit for the ISMPP Certified Medical Pubilcation Professional™ (CMPP) exam? Associate Members who meet the eligibility criteria are most welcome to apply for the ISMPP Certified Medical Publication Professional™ (CMPP) exam. The exam is offered in both March and September. You do not need to travel to North America or Europe to undertake the CMPP exam. Secure CMPP testing sites are provided across the globe (eg, Shanghai, Tokyo, Seoul, Sydney, Mumbai etc…); it should be easy and cost-effective to find a convenient location. I live in an Asia-Pacific and/or lower-income nation and I joined or renewed as an Associate Member but want to switch to Full Membership. My Associate Membership is already paid for. Can I do that? Yes you can. At this point in time, upgrading to the Full Membership would provide you with the option to dial in to the monthly ISMPP U webinars via a telephone AND web platform, as well as participate in society elections. If you wish to pay the additional dues, please contact [email protected] or call 001 914 618 4453. I live in an Asia-Pacific and/or lower income nation and I joined or renewed as a Full Member but want to switch to Associate Membership. My Full Membership is already paid for. Can I do that? The Associate Membership program is not available retroactively and Full Members are not eligible to receive a partial refund of their current dues. However, upon renewal, if you remain qualified for Associate Membership, you will be charged the reduced amount and your membership status changed to Associate Member. If you move out of an Asia-Pacific and/or lower income nation during the course of your membership year, you will keep your Associate Membership status until the following renewal year. At that time, you will automatically be elevated and charged for Full Membership. Likewise, if you move into an Asia-Pacific and/or lower income nation during the membership year, you will not become eligible for Associate Membership until the next renewal period. We welcome you to take advantage of this low-cost way to join your international and regional colleagues – please become a member of ISMPP today!